As red diesel suppliers in Huddersfield, we also deliver on a nationwide basis throughout the UK. If you are in Huddersfield and you need red diesel delivered, call Crown Oil now! 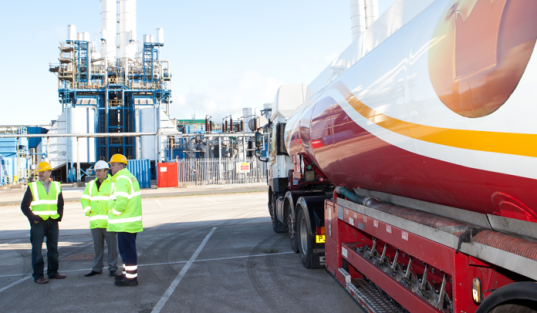 We can deliver any fuel to you including red diesel, diesel, kerosene and heating oil quickly and efficiently to any required location in Huddersfield. We are well known throughout the country for our reliability, competitive prices and service. Our customers are within the public and private sector. We supply fuels to large blue chip companies, as well as smaller companies with lower requirements. If you need red diesel, be it in bulk or barrel quantities, please call us on 0845 313 0845 and we will arrange delivery at a date and time suitable for you. Why Red Diesel in Huddersfield Red? A red dye is added to diesel to create red diesel (gas oil) This enables HMRC, in the United Kingdom, to dip test road user’s vehicles and spot illegal use of this rebated fuel. Red diesel fuel is simply diesel fuel used mostly off-road vehicles, plant and machinery, and for heating homes. However, Some of the vehicles which are allowed to use gas oil include construction vehicles; such as backhoes, bulldozers, and cranes. Farmers also use red diesel fuel. Farmers use red diesel fuel in farming machinery such as tractors. The town of Huddersfield has few red diesel suppliers who can match Crown Oil’s service levels; therefore, anyone who needs red diesel in this West Yorkshire town should call us on 0845 313 0845. Red diesel fuel cannot be used in vehicles using the highways of Huddersfield or the rest of the UK. The red diesel fuel has a similar chemistry to the diesel fuel used in vehicles driven on the highways of Huddersfield; however, the United Kingdom taxes red diesel fuel differently from the diesel fuel used in vehicles driven on the highway. Red diesel fuel has a lower tax than the diesel fuel sold and used for the vehicles that are driven on the public roads of Huddersfield. HMRC does not want red diesel fuel to be used in vehicles designed for driving on the highways, and this is why the marker dye is added for testing purposes. Law enforcement in the United Kingdom is watching for vehicle owners using red diesel fuel in vehicles driven on the highways. Law enforcement is testing samples from vehicles during traffic stops. Anyone using red diesel fuel for road-going vehicles would be guilty of tax evasion.